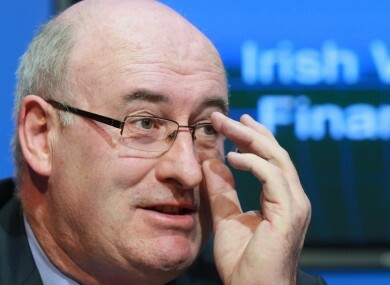 Minister Phil Hogan is looking for expressions of interest from people suitable to sit on the Commission. IF YOU THINK you would be able to keep an eye on how local government spends its money, the government wants to hear from you. Minister for the Environment, Community, and Local Government is seeking expressions of interests from people interested in sitting on the National Oversight and Audit Commission. This is one of the measures set out in Hogan’s Action Programme for Effective Local Government. “The Commission will provide independent, high quality scrutiny of local government performance in fulfilling national, regional and local mandates,” the Minister said. He detailed that it will focus on the delivery of services, as well as scrutinising the performance of individual councils. There will also be an element of analysing the “value for money” offered from services. “Travel and subsistence allowances will be paid in line with Government guidelines for the civil service,” the job specification details, with a Department spokesperson saying a decision has not yet been made whether those sitting on this commission will be paid. It is understood it could depend on who applies for the positions. The announcement that this new board will be appointed is part of a range of measures to ensure that local authorities are run in an effective and accountable manner. Email “Oversight and Audit Commission to scrutinise local government spending”. Feedback on “Oversight and Audit Commission to scrutinise local government spending”.